Tune into the tonal trend! 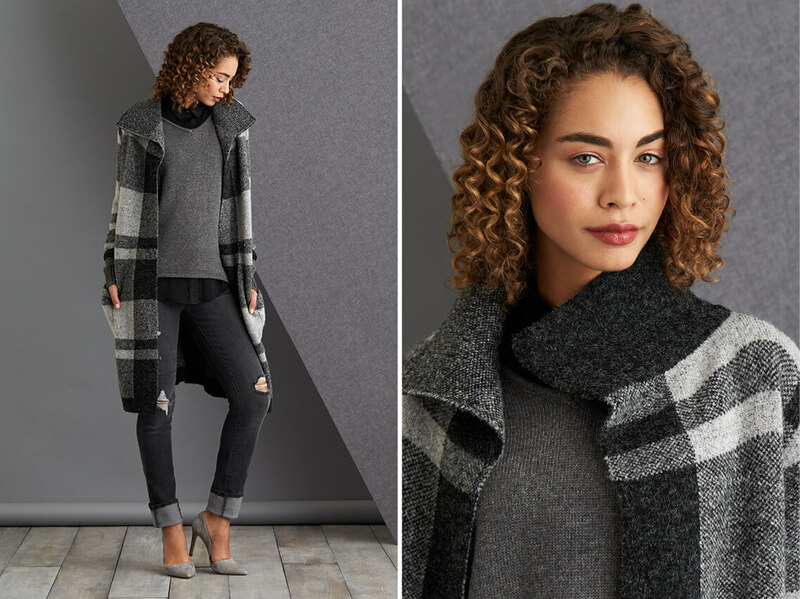 This monochromatic head-to-toe look is a major #trendalert and one of our favorite ways to wear new fall styles. From chunky knits to faux fur accents, fluid color palettes create a clean silhouette with minimal effort. Here are 3 looks that will make you want to turn totally tonal. 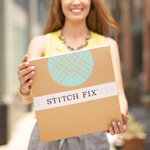 Spruce up your separates! Skip the cocktail dress this season and try wearing a pencil skirt with a tonal turtleneck. Experiment with texture, embellishments and proportions for the perfect combination of glam and sophistication. Stylist Tip: Give your sweater a slight front-tuck for a more tailored look & to show off your waist. Break up burgundy—or any tonal look—with an outer layer in the same color family. 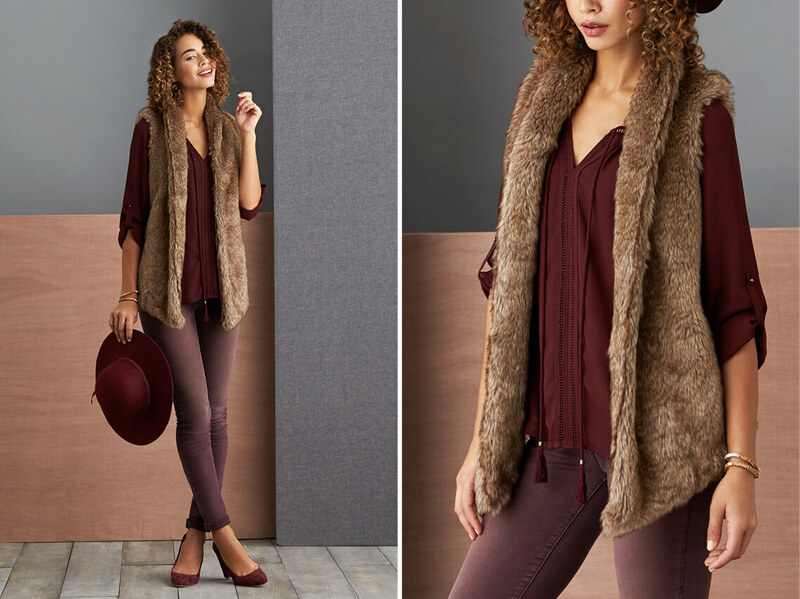 Stick with tones of the same temperature—if you’re going all burgundy, a faux fur vest can pull-together hues that have slight variation. Stylist Tip: On those cooler days opt for tall cognac boots or even bordeaux pumps to elongate your stems. Going tone-on-tone makes layering easy! Dress up distressed denim with a button-up and a cozy fall sweater—perfect for date night. Top it off with a long coat in a classic print for a sleek, contemporary feel. Stylist Tip: Cuff it. Wider cuffed jeans are totally trending—plus it’s an easy way to diversify your hem length. Show off your ankle in heels or unroll them with booties!